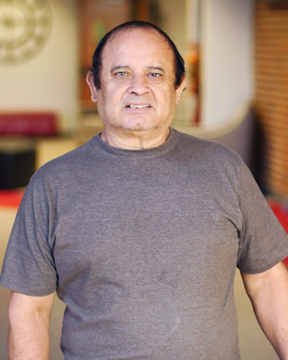 Art Sandoval has been on the custodial team at First O’Fallon since 1999. For 17 years he was a full-time staff member but retired and came back to serve part-time. Art is a friendly face around our campus, and everyone loves to see him and say hello. His dream is to build a mission in his home region of Guatemala.